Faced with the prospect of a fivefold increase in bus imports into the country, Australia’s largest bus body manufacturer, Volgren, not only needed to become more productive, they had to completely rethink the end product to survive. 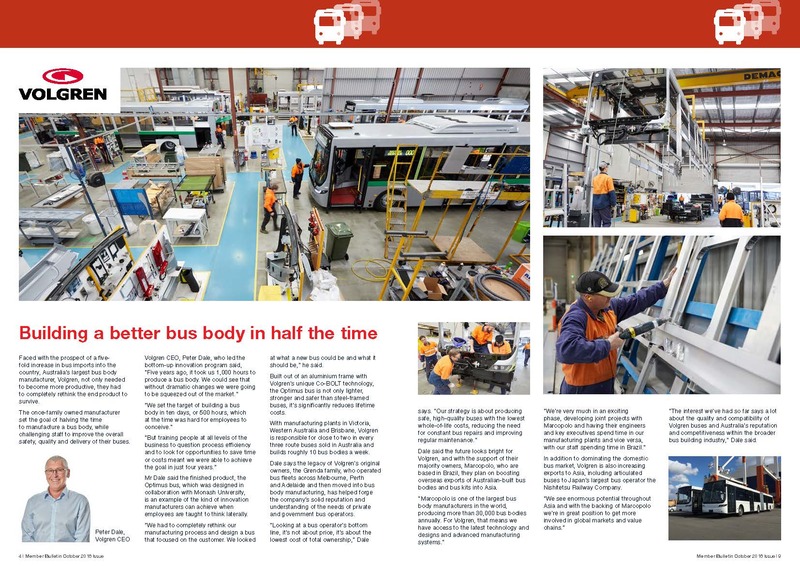 The once-family owned manufacturer set the goal of halving the time to manufacture a bus body, while challenging staff to improve the overall safety, quality and delivery of their buses. Volgren CEO, Peter Dale, who led the bottom-up innovation program said, “Five years ago, it took us 1,000 hours to produce a bus body. We could see that without dramatic changes we were going to be squeezed out of the market.” “We set the target of building a bus body in ten days, or 500 hours, which at the time was hard for employees to conceive.” “But training people at all levels of the business to question process efficiency and to look for opportunities to save time or costs meant we were able to achieve the goal in just four years.” Mr Dale said the finished product, the Optimus bus, which was designed in collaboration with Monash University, is an example of the kind of innovation manufacturers can achieve when employees are taught to think laterally. “We had to completely rethink our manufacturing process and design a bus that focused on the customer. We looked at what a new bus could be and what it should be,” he said. Dale said the future looks bright for Volgren, and with the support of their majority owners, Marcopolo, who are based in Brazil, they plan on boosting overseas exports of Australian-built bus bodies and bus kits into Asia. “Marcopolo is one of the largest bus body manufacturers in the world, producing more than 30,000 bus bodies annually. For Volgren, that means we have access to the latest technology and designs and advanced manufacturing systems.” “We’re very much in an exciting phase, developing joint projects with Marcopolo and having their engineers and key executives spend time in our manufacturing plants and vice versa, with our staff spending time in Brazil.” In addition to dominating the domestic bus market, Volgren is also increasing exports to Asia, including articulated buses to Japan’s largest bus operator the Nishitetsu Railway Company. 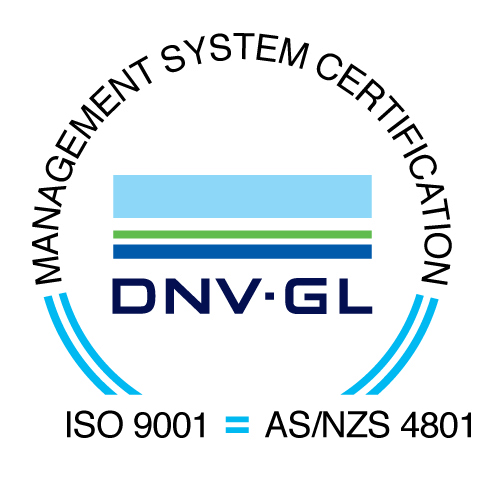 “We see enormous potential throughout Asia and with the backing of Marcopolo we’re in great position to get more involved in global markets and value chains.” “The interest we’ve had so far says a lot about the quality and compatibility of Volgren buses and Australia’s reputation and competitiveness within the broader bus building industry,” Dale said.